So, if you’ve decided to create your own online store – this post will be highly useful for you. We’ve tried to answer on popular question – what is the best ecommerce website builder? For this we’ve analyzed and tested over 30 ecommerce platforms including such popular ecommerce platforms as: Shopify, Magento, BigCommerce, Wix eCommerce, WooCommerce etc. According to the results of this work we’ve created this review of best online store builders. For each ecommerce platform we’ve made short conclusion, specified pros and cons and prices for plans. 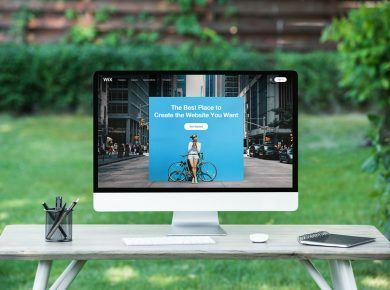 Earlier we’ve shown you a great list of 15 best free website builders which will help you if you’re going to create a business website or portfolio. But creating an online store from scratch is both exciting and frustrating. While you’re dreaming of a successful eCommerce business, the total amount of expenses on development, design, support, and optimization rises up in times. But is there actually a chance to run an online store or test a new business idea with a low starting budget? A large number of new projects no longer use services of freelancers or web studios. Instead, they chose the more convenient and cheaper option – a website builder. eCommerce web builders will help you create your dream sales platform for a super affordable price (sometimes, even for free). Managing such an online store requires no technical or web development skills but rather several hours of learning the editor’s interface and functions. Such a cloud-based solution will save you time for more important tasks like searching for the online store supplier, deciding upon the range of products and others. These are the major reasons why website constructors are so popular today. The other question is – what is the best eCommerce site builder? How can you find the best eCommerce website builder out of so many offered options? Hoping, this review of 10 highly-ranked site building services of different price categories will help you make a deliberate and smart choice. Our list of top ten eCommerce website builders starts with Shopify. This is recognized internationally as a very solid product. Сreated specifically for the eCommerce projects, the builder managed to serve more than half a million online stores all over the world with the products worth $40 billion in total. Unlike many website builders, Shopify has no free plans, only a 14-day trial period. Shopify looks more like an eCommerce CMS rather than a site editor in its structure and capabilities. The control panel is very similar to those of Prestashop, Opencart, and WordPress. Although the service is comprehensive in its features, learning how to use Shopify is way easier than you imagine. Shopify App Store has a bunch of useful apps divided into several categories (sales, social networks, service, statistics, marketing, etc.). 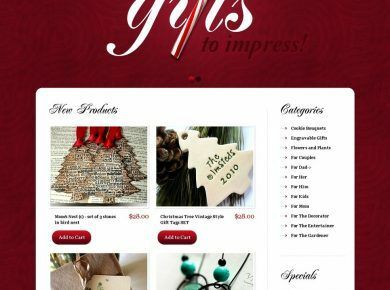 Shopify can boast of beautiful web templates (10 free and 45 paid ones) and powerful setting features. You can install several templates at once and then switch from one to another if needed. Besides, you can download your own themes to the service. Customization options vary but the template parameters are very detailed. You can configure absolutely everything to your taste, including a header, a sidebar, font as well as the cart, and storefront design. There is an absolute access to the code that you can download to your PC and edit one whenever you need. Shopify Academy – free courses for entrepreneurs. Commission on sales, from 0.5% to 2%, depending on the chosen plan. Basic Shopify ( $29 / mo) – an unlimited number of products and 2 content manager accounts. 2% of the amount of all sales transactions will be withheld by the system as a commission. Basic Shopify ( $79 / mo) – an unlimited number of products and 2 content manager accounts. 2% of the amount of all sales transactions will be withheld by the system as a commission. Advanced Shopify ( $299 / mo) – 15 content manager accounts, advanced statistical data collection and the ability to connect the delivery companies. The most expensive option has a reduced commission (0.5%). 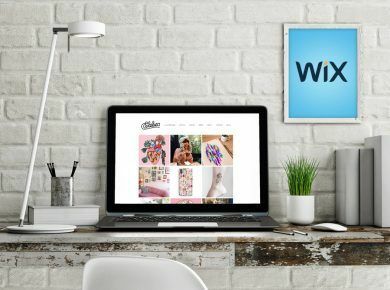 Wix is a DIY eCommerce website builder and the leader in the industry for a good reason. Wix has one of the best site editors with a great set of ready-made solutions supplemented with the domain registration and hosting services. 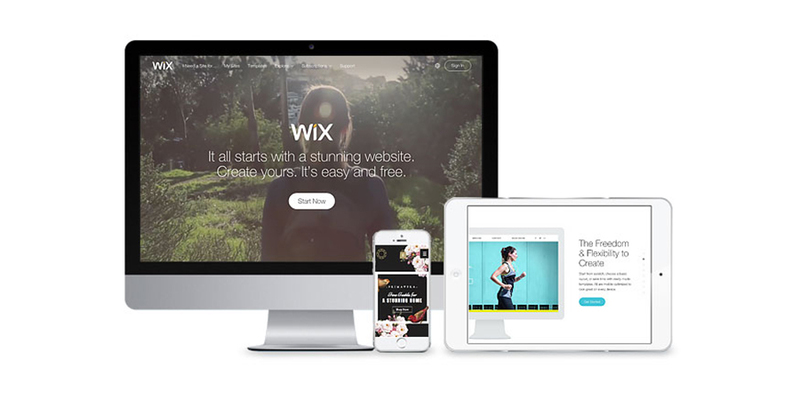 Wix is a comprehensive and stylish solution for editing websites in an intuitive manner. However, when it comes to eCommerce websites, Wix configuration opportunities are somewhat limited. If you choose to create an online store using this platform, you can only divide products into categories, write their title and description, attach photos, insert the “Add to cart” button, and use features like online payment, discounts, order statistics, and some more general settings. Not a lot of options, agree? Nonetheless, if you care more about the stylish look of your online storefront rather than its functionality, Wix should be your number one choice. This eCommerce site builder currently offers 38 aesthetic and modern templates for any small- or middle-size online store. Besides, the user gets an access to the Wix App Market with a bunch of marketing apps and other widgets or plugins to help create beautiful previews, convenient carts, and in general, improve the overall store’s design. 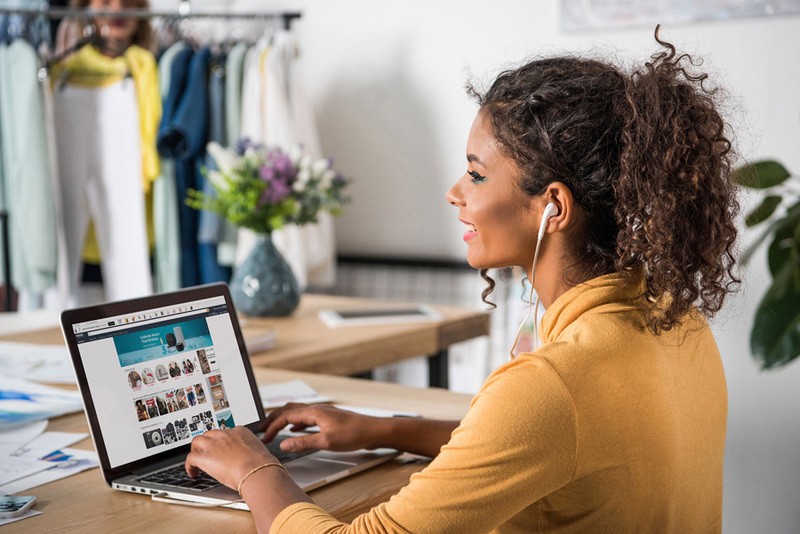 If you choose a free plan, it won’t let you sell online, but it lets you customize your online store before upgrading the plan and start your sales. eCommerce Plan ( $17 / mo) – comes with a free domain for a year, several interesting advertising vouchers for marketing your website, two premium add-ons, and 20GB of storage. VIP Plan ( $25 / mo) – comes with an unlimited bandwidth, VIP support, priority response, and a professional site review. Not much different from the e-commerce plan in features. BigCommerce is a powerful e-commerce website builder that caters to large scale enterprises. It is a robust SaaS service that gives you free web hosting, domain registration and a host of other functions for enhancing your web performance. The platform is suitable for both beginners and professional developers. For while, the interface is intuitive and doesn’t require coding skills, you can customize the meta tags and HTML codes if you have the technical expertise. There is a total of 7 templates and layouts to choose from, each customizable and compatible with mobile devices. In fact, BigCommerce automatically creates a mobile-friendly version of the store as you publish it online to garner more views. The e-commerce options allow you to create product catalogs, manage shopping carts, take care of the shipment and integrate multiple payment gateways like PayPal for secure transactions. You can also avail the benefits of several e-mail marketing services like MailChimp and Constant Contact for effective after-sales promotions. Affordable credit card processing fee. Standard Plan ( $29.95 / mo) – unlimited products, unlimited storage and bandwidth, multiple sales channels, accepting credit cards and PayPal, no transaction fees, 24/7 support. Works best for eCommerce businesses with an annual revenue of up to $50,000. Plus Plan ( $79.95 / mo) – intended for companies with an annual revenue of up to $150,000. Real-time delivery, maintained cart requests, extended customer segmentation, etc. Pro Plan ( $245.95 / mo) – suitable for businesses earning up to $400,000 a year. Includes all the features from the Plus plan, except for an additional access to Google Reviews and the in-store search filter function. 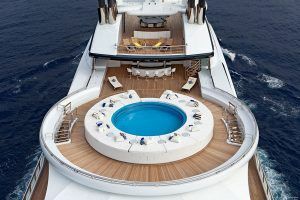 Finally, the large enterprises and brands should choose a Corporate Plan , requiring a personal call for negotiating the price terms. This plan comes with a dedicated SSL certificate and IP address, as well as a priority support. SITE123 is one of the easiest eCommerce store builders stating to create a website “on the count of 1,2,3…”. One account lets you keep an unlimited number of sites – just choose a plan, pay for the annual use, and start creating websites. For webmasters and other experienced users, this builder will seem pretty simple and straightforward. It’s rather a convenient editor with a nice interface and good functionality suitable for building technically simple, adaptive, and good-looking websites with a small number of pages, including online stores. You can sign up for SITE123 and start creating a site through your Google+ or Facebook account. The service is intended for beginners, so it might lack some convenient settings like auto add of goods, delivery parameters, payment options, discounts, and more. Among the available options are a shopping cart, and the ability to accept online payments via PayPal. SITE123 offers nice-looking templates of a good quality, although they do seem pretty similar to each other. You can change the structure and design of the main page, enable parallax effect and transparency, upload your own images or change the color scheme and fonts. The service allows you to connect various plugins that can be purchased in the local App Market. The apps are divided into three categories: analytical and marketing tools, live chats, and webmaster tools. The choice is very decent – about a hundred available apps, including Google Analytics / AdWords, Facebook Pixel, LiveChat, and Privy. Most of the plugins are meant for collecting statistics and promotion. Fast download time and almost constant uptime. Too easy for online stores. Advanced – 30 GB of disk space, 15 GB of traffic, 50 products, and 2 mailboxes. The cost is $22 /month for a monthly payment, $15.8 /month for a year, $ 13.8 /month for 2 years, or $11.8 /month for 3 years. Professional – 90 GB of disk space, 45 GB of traffic, 500 products, and 5 mailboxes. The cost is $30 /month for a monthly payment, $21.8 /month for a year, $17.8 /month for 2 years, or $14.8 /month for 3 years. Volusion is another DIY eCommerce website builder oriented completely for the online stores. One of its greatest advantages is the availability of eCommerce professional tools. If necessary, there is a Volusion paid service providing a professional web designer to help you make a unique customized store. The builder’s intuitive interface allows you to understand the platform from scratch without the involvement of webmasters or any special knowledge. The service is focused on individual entrepreneurs as well as small and medium businesses involved in sales or providing services. For those who need it, Volusion provides an access to the original HTML code. The functionality of the service includes CRM system, SEO tools, site search as well as integration with Google Analytics, social networks, and other marketplaces. The key eCommerce functions include warehouse management, delivery and logistics, inventory capabilities, import and export of goods, and the ability to view customer data and order history. The template gallery keeps more than 300 themes suitable for various businesses and niches: beauty and health, sports, travel, food, clothing, car parts or interior. Using a drag and drop page editor, you can easily fill in fields with the information and move the blocks. When creating a new layout, you can not only place the products and descriptions but also add video, audio, slider, reviews, ratings, and reviews. No possibility to create a blog. Personal Plan ( $29 / mo) – entitled for businesses with an annual revenue up to $50k. Includes 1 staff account, 100 products, unlimited bandwidth, and online support. Professional Plan ( $79 / mo) – entitled for businesses with an annual revenue up to $100k. Includes 5 staff accounts, 5,000 products, unlimited bandwidth, and online + phone support. Business Plan ( $299 / mo) – entitled for businesses with an annual revenue up to $500k. Includes 15 staff accounts, an unlimited number of products, unlimited bandwidth, and priority support. And finally, Prime Plan at no fixed price (customized individually). Includes all features from the previous plans + unlimited staff accounts, products, bandwidth, and VIP support. 3dcart is less known among other eCommerce website building solutions. Nonetheless, one is rather a multifunctional platform for a quick and effortless launch of a small or middle online store. Since 2014, more than 17,500 global merchants have chosen 3dCart to start a successful eCommerce business. 3dCart opportunities are quite numerous: mobile sales and some of the best tools for sale through Facebook, Twitter, and Pinterest. 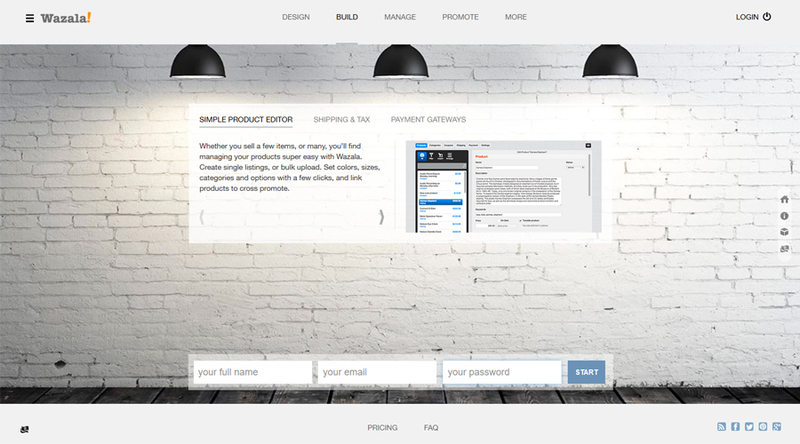 The builder allows customizing your own blog, newsletters, CRM, and business email. One has a very convenient backend panel and a responsive version of the toolbar for quick updates on the go through any electronic gadget. User-friendly interface for experienced users. Learning all the features can take time. 3dCart contains 4 plans with such common features as domain registration, shopping cart, unlimited orders, 24×7 tech support, Facebook store, secure web hosting, 50+ mobile-ready themes, built-in blog, unlimited bandwidth, 100+ payment providers, and API access. Startup Store Plan ( $9.50 / mo) – includes 1 staff user, no transaction fees, and 100 Products. Basic Store Plan ( $14.50 / mo) – includes 2 staff users, no transaction fees, and unlimited products. Plus Store Plan ( $39.50 / mo) – includes 5 staff users, no transaction fees, and unlimited products. Pro Store Plan ( $144.50 / mo) – includes 15 staff users, no transaction fees, and unlimited products. Web.com is not only a functional eCommerce platform with a professional support. The company also provides a web development service of any complexity, including marketing and search promotion, issuing SSL certificates, payment systems connection, etc. With a help of Web.com, you’re able to connect the store to Google Local and set up monthly marketing reports. Also, you can configure a secure payment processing, accept credit and debit cards of all major issuers, set flexible prices and get paid on your own bank account. SSL certification, various hosting options, and e-mail templates are available for any Web.com user. You can get analytical reports showing your online reputation, as well as search engine visibility reports, customize PPC advertising, and use SEO tools. Ability to use discount coupons. For an eCommerce solution, Web.com offers a Website, Marketing and Store plan that costs $3.95 for the first month as a discounted price, and $39.95 as a full price for the next period. 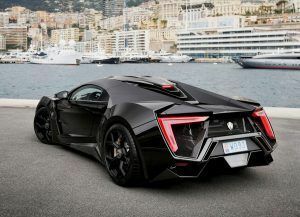 The plan includes a drag-and-drop eCommerce website builder, a free domain name for a year, stock photo and video gallery, hosting, and a 99% uptime guarantee. Are you looking for the website builder with a convenient admin panel and drag-and-drop function? Then, welcome to Wazala . By using Wazala, you are able to create even the most complex online stores with customizable shopping carts, discount systems, payment gateways, an interactive gallery, etc. Wazala offers useful tools to not only create an effective but also an interesting web design. You’ll have a choice of a variety of predefined templates with available plugins. Also, you don’t have to worry about your valuable private information – it’s kept in the storage and securely protected from hacking. Lack of integration into apps like Quickbooks. Large ( $64 / mo) – includes all Medium plan features + unlimited products, 50GB Digital Downloads, custom language, affiliate tracking support, and order forwarding API. Although Squarespace is rather focused on creating blogs and portfolios, the eCommerce option of this website builder is worth a mention. It helps creating beautiful and powerful multipage online stores with such features as the sitemap view, adding pages, and automatic linking between pages. 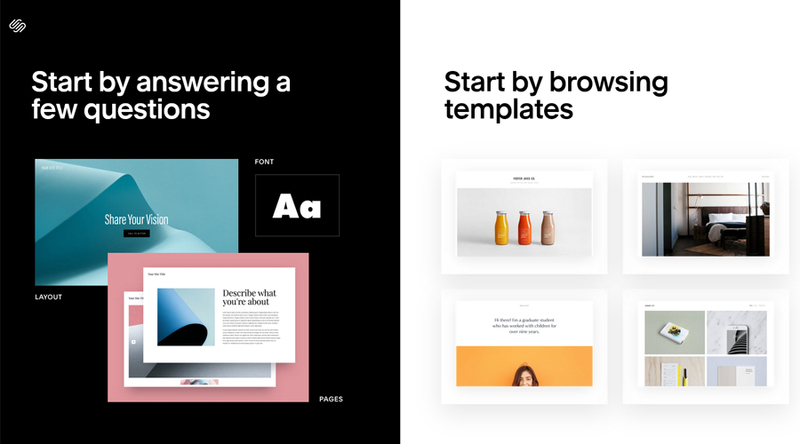 Squarespace has a large selection of templates for a free trial with convenient features of the color, font, and font size change. All the templates are super stylish and would be highly ranked even by a professional. You can start your website on one template and then, if necessary, switch to another, without any loses in the page or text design. However, the builder lacks configuration opportunities. In general, the level of templates’ flexibility is low. For instance, you can’t just take an existing text block and move it a few pixels to the side. The unit will remain at the place it was originally placed, so you will only be able to replace the content. Although Squarespace interface is aesthetically much prettier than of WIX, it is very complicated and non-intuitive. You might want to watch several video tutorials to learn how the platform actually works. Finally, you can create a logo using logo.squarespace.com – an icon from a simple image and a company name, but be ready to pay $10 for it. Only 3 payment systems to choose from: Stripe, Apple Pay, and PayPal. Basic Plan ( $26 / mo) – includes unlimited products, free user domain, mobile optimization, SSL security, powerful commerce metrics, Squarespace domain verification module, Xero, label printing, inventory, orders, taxes, customer accounts, and discounts, etc. Advanced Plan ($40 / mo) – includes almost all features of the Basic and Business plans + abandoned cart recovery, real-time carrier shipping, flexible discounts, gift cards, and API orders. No secret, all large and successful eCommerce projects work with individually-designed websites. Creating such online stores is more difficult, longer and more expensive and, by far, these are the only drawbacks. With a help of an individually-developed website, you will be able to customize everything the way you want it to be and make it most suitable for your product, target customers and a business model. The configuration possibilities are endless. For instance, you can make a very special product’s search and personalize promotional offers (let’s say, there can be separate ads for men’s and women’s goods). Also, you’ll be able to fully work on improving the website CTR (click through rate). Using professional services of either an individual freelancer or a web design studio might cost you thousands of dollars, although such a high price justifies oneself once the site starts to operate. Besides, a lot of studios include a full range of other services (full marketing analysis, the site administration) in the package. All you need to make sure is that your potential freelancer or web studio has an excellent reputation; otherwise, spending much money on the project from an unreliable person or agency wouldn’t make any sense. takes a minimum of your own time. long developmental process (1-2 months if not longer). If you have no chance or desire to spend money on expensive design studios or freelancers and you have no idea how to work with HTML, scroll up this article and you’ll find some free eCommerce website builders or the ones for a minimal monthly fee. Such services provide modern but most importantly ready-made templates that you can easily edit in a drag-and-drop manner. creating an online store will take you several hours or even less. you’ll need to work on your project yourself. 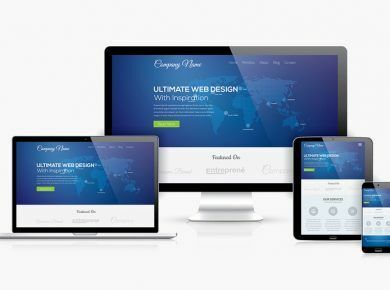 In short, a template or theme is a ready-made design for your entire website. You can purchase templates online for a very affordable price and then use so-called CMS (content management systems) for its configuration and administration. The process comes down to three simple steps: 1) installing a CMS; 2) installing a finished theme; 3) final configuration and launch. Magento is a very powerful and functional CMS for online stores. 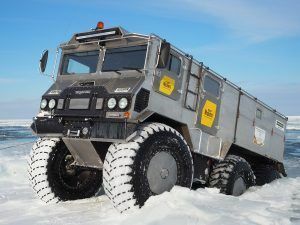 One of its major advantages compared to other contestants is the ability to withstand heavy loads. The main disadvantages, however, are the relatively high price, demands on hosting resources and the small number of developers working with Magento. 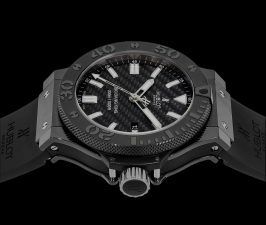 Unless you’re striving to have a large online project of the same scalability as Nike, Bulgari, or Pepe Jeans, opting for this “monster” will make no sense. Opencart CMS has an intuitive interface and an excellent set of basic functions (product characteristics, discounts and promotions, order and sales reporting system). Offers many ready-made free modules that one can easily integrate into the online store to improve its design or functions. PrestaShop is a free content management system with the ability to choose characteristics and categories for the product, and sort customers into groups, as well as with the internal systems for analytical data collection. Easy to manage, has a wide functionality and a large number of software modules. Finally, WordPress. This CMS is not designed for developing online stores but if you only have a few products to sell (100-200), one can also be an option. Why Is It Best to Build an eCommerce Website Using a Site Builder? Creating a good online store is a painstaking and time-consuming process. Website builders were created specifically to simplify this procedure as much as possible. Their specific functionality will make it possible to quickly customize the design, implement a convenient navigation, arrange the storefront, etc. And although you can set all of this by using other services like CMS or coding, choosing a website builder means choosing the simplest way. If you have no time and skills for launching a small online store, none of the above-mentioned methods would guarantee you the same convenience as website builders do. 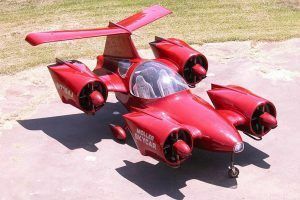 Besides, if you choose to create an eCommerce store and “test” the business idea or a specific niche and you end up in a failure, splurging on more expensive options will be a total waste of money, time, and efforts. You can understand that it’s not the business you’d like to have; everything is more complicated than expected, no stable revenue, changing market, etc. These are the major reasons why eCommerce constructors are the best choice for someone like you. What Opportunities Do eCommerce Platforms Offer? Website Builder is a ready-made, fully self-sufficient online service providing a full set of tools necessary to create and support the project later on. It opens a lot of opportunities for ambitious entrepreneurs who have no idea about the code and must-have store elements. This means website builders not only provide a ready-made interface but also fully contribute to your future eCommerce business due to free consultations, webinars, and training materials. The mission of each platform sounds simple: everyone should be able to create and maintain an online store. SEO optimization settings to bring your online store to the top of search engine results. All inclusive package. Most often, a drag and drop eCommerce website builder is not just a tool for making a site, it’s a deployed infrastructure that provides everything from ready-made templates to the domain and hosting services. The main advantage of such services is the ability to quickly test a new business idea without any significant financial and time losses. You will be able to get a ready-made store almost instantly for a small cost every, so if the idea turned out unsuccessful, the project can be simply deleted. What Factors Should You Consider While Choosing eCommerce Website Builders? the ability to output the site from the service to your own hosting. Thanks for your attention, dear reader! Hoping, this article helped you compare eCommerce website builders and decide on the best option for your future online store. We’ll keep on posting more eCommerce website builder reviews, so stay tuned! I’ve stopped my choice on Shopify and do not regret about this. From all website builders in this list – Shopify is really professional ecommerce website builder. 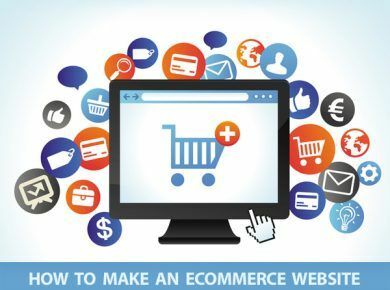 You can build simple online store on any website builder but if you need big and really functional ecommerce store – it’s better to make it on Shopify. As a businessman with experience – I don’t have doubts in this. Nice Article. As for me, I personally prefer Shopify – really functional platforms. Have I missed something, as I only count 9? FYI, one thing I’ve been finding hard to determine from reviews is data entry and updating options. I’ve over 400 SKUs, and whilst I might enter them into a datasheet once, I know from experience that manually updating more than one data document is a recipe for delays, error and price/description mismatches (until automating everything round a single spreadsheet, I sometimes ended up with three different prices; one on the (manually updated) shop labels, one on the (manually updated) price list; and the ‘master’ one on the invoicing spreadsheet. Somehow, the data for stuff on the website has to interface (reasonably automatically or cut ad pastably) with the data for the physical shop, but this is not easy to see on reviews (or it’s so simple that no-one thinks to mention it). Thanks for highlighting the top features individual eCommerce platforms are having. Comparisons like this helps people to decide which online platform is best for them start their online venture. I think mentioning the open source platform “WordPress” would be worth your time. Good selection. I personally prefer Wix and Shopify – really functional platforms. This is all new and mostly over my head. I already have registered URLs, websites and host provider is this a prerequisite for these sites? Question is: Will I need this after I go to one of your previously mentioned site? Outstandingly written article on eCommerce storefront alternates! Due to the volume and budget, i go for Shopify. It’s easy to implement and you can start your own storefront within hours! What web building platform would you suggest is best for webinars and clicking through to the payment processor Stripe? The webinars provide a service so No products would actually be shipped. Any help is greatly appreciated. Thank you for your time and input, it’s appreciated. I want to open an online clothing store for children, I been reading about web builders and other. Do I need a web builder, or can I just build my own and then get a host company for my store. This is very confusing. Thanks for your time! Hi Mary (and anyone else reading!) I just wanted to say I’ve made a little online quiz to help you decide which eCommerce platform is best for you – depending on your business, technical ability and so on. It might make the decision a little easier and more customised to your needs! Where do we get to that ? I could do with it? When building an interactive selling site with OOAK items, which site do you think would work the best? Some have item limitations. and some have site space limitations, not allowing for multiple photo views, which would you suggest to do that kind of a selling business? Your best ecommerce website builders came in handy for me right now. I just decided to develop my own online store selling clothes and accessories. I’ve read many reviews including this one but I don’t have exact answer – which ecommerce platform is the best for me? Are there any special ecommerce builders exactly for clothes stores or this is just my fantasy? And one more thing – if I will use my domain name – are free ecommerce web builders suitable for me? a great deal of work? I have absolutely no expertise in programming however I was hoping to start my own blog soon. Your comment is not related to the discussion of this post. This post is not about blogs and how to manage blogs by novice bloggers but about ecommerce website builders and other platforms for developing online store. If you have any questions regarding this matter – feel free to ask. So what is the best website builder for online store that mostly recomended? There is no unequivocal answer on this question. From all mass of ecommerce builders you can pick out 3-5 of the most advanced but you cannot say what exactly ecommerce web platform is the best one. 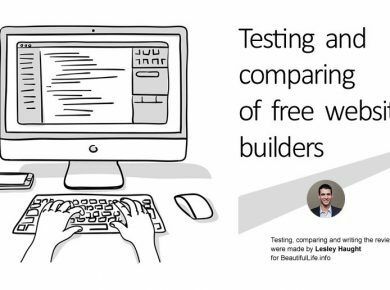 Each website builders has its own pros and cons – even the best ones. My advice – to choose a few ones, all ecommerce website builders have free trial versions. And don’t need to spare your time on this – thanks to this you can choose the most convenient ecommerce website builder for your online store and in future will avoid many possible problems. Great list. thanks a lot! I’m using magento for my online store. At the moment it’s the most functional platform for creating online shope. I’ve discovered only one significant cons of Magento – it’s the high cost of developing a web site. Services of designer and programmer cost me a lot or I had to be satisfied with some free magento theme, but it would be not unique design of my online store. The rest – this ecommerce builder is exactly what you need. Magento isn’t ecommerce website builder… It’s CMS – content management system with open code that’s why it’s not correct to compare Magento with online website builders. I don’t see a principle difference. It might be because I’m not a specialist in web development. It’s quite enough for me that magento allows to create great online stores. But you don’t name a airplane a car only because it has a wheels and before flight it uses it for moving? Magento and other eCommerce CMS like Prestashop, Oscommerce, Zencart – are software in simple terms. You download its distributive on official website, then integrate it into layout of your website, then customize database and as a result you have a website. But it’s not the end. Because you need to buy a domain name and hosting for it. After this you have to upload ready website to a hosting and only after this you will be able to use your website. For web developer – it’s an ordinary task though it sounds complicated. WYSIWYG (What-You-See-Is-What-You-Get) website builders have absolutely different principle of work. You choose template design you like most and edit it as you need by dragging blocks and design elements with mouse. For this website builders have drag and drop editors. Them you select domain name and push the button Publish and voila – constructed by you website is ready and online. I.e. you don’t need to additionally buy anything – you do everything online and usually very quick. Dude. Magento and other eCommerce CMS like Prestashop, Oscommerce, Zencart – are software Free. You no need buy addons or plugin with high cost like this list blog. because there are million freelancer and developer gave you free modules or addons and service if you pay them to build what you need. Im use prestashop and very happy. in list Website Builders have no setup Shipping for my country and other addons if you needs then you must face to face with high cost or you waiting with nothing. Are you web developer? Are you engaged in development of ecommerce stores? Open source solutions like Magento and nopCommerce give more space for customizatation no doubt. Very informative and useful post! It was a right solution to tell prices for each builder – it’s very convenient. thanks!